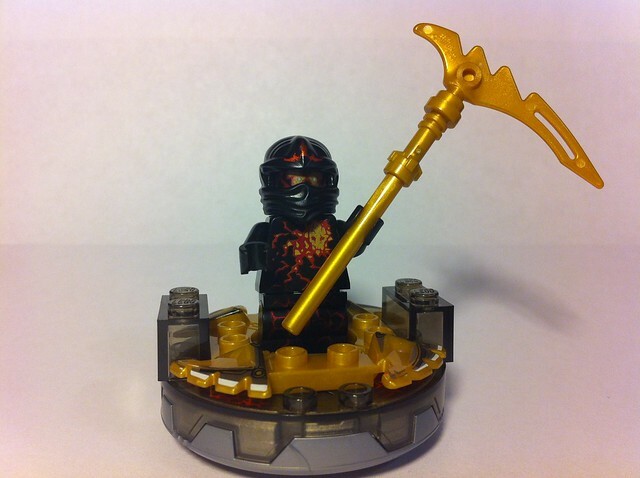 Ninjago fans gather ’round – Reagan and Daddy are about to unleash the TRUE POTENTIAL of NRG Cole upon you! If you have a good pair of shades you might want to reach for them now before the power of this Cole minifig is released. Reagan and I are huge fans of these new NRG Ninjago minifigs solely upon their brightly colored faces and ninja uniforms. How about you? What is your favorite thing about the NRG figures? You gotta admit that the glowing eyes are OUTRAGEOUSLY RADICAL. We picked this figure up at ToysRUs.com, along with NRG Jay, Spitta and Fangdam. 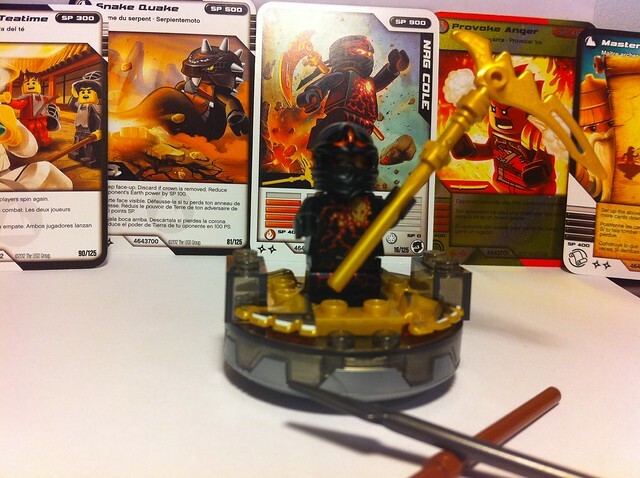 NRG Cole – Lego Set 9572 was on our radar as soon as the NRG ninjas were available for purchase. 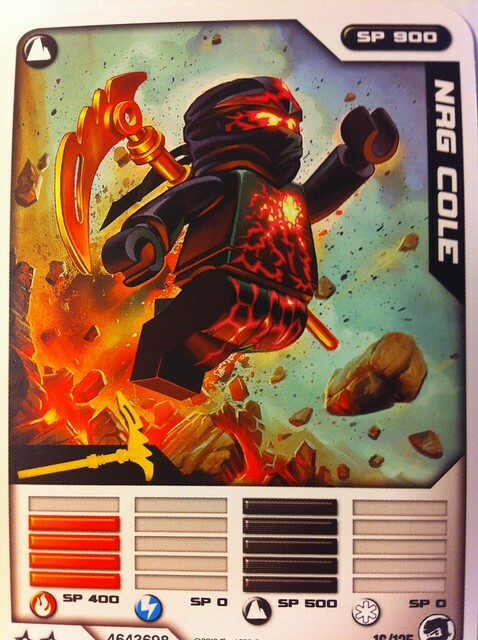 Having harnessed and mastered the ways of the Earth, Cole transforms into a super powerful ninja that has reached his true potential. Upon close inspection you will observe a pulsing fire in his eyes, almost a lava/magma meets crumbling Earth look! Serpents be ware – this ninja ain’t playin’ around.